Last week, Yamaha India, launched the most fuel efficient 110cc motorcycle new Saluto RX, today the company announced the launch of new Cygnus Ray-ZR scooter for Indian market. First unveiled during Delhi Auto Expo 2016, the all new Ray ZR scooter will be available for sale at Yamaha dealerships across the country from May 2016 onwards. Yamaha Cygnus Ray-ZR scooter has been developed around the concept of a “Next-Generation Real Boy’s Scooter.” This new scooter from Yamaha gets a very new exterior design which is characterized by a sense of dynamism and layered form. The scooter adds a fresh look when compared to the other scooters in the market. The design realizes the ‘Real Boy’s Scooter’ concept by balancing the deeply-sculpted and powerful front mask, effortlessly-layered straight lines, and tail surround accentuated with a sense of speed. 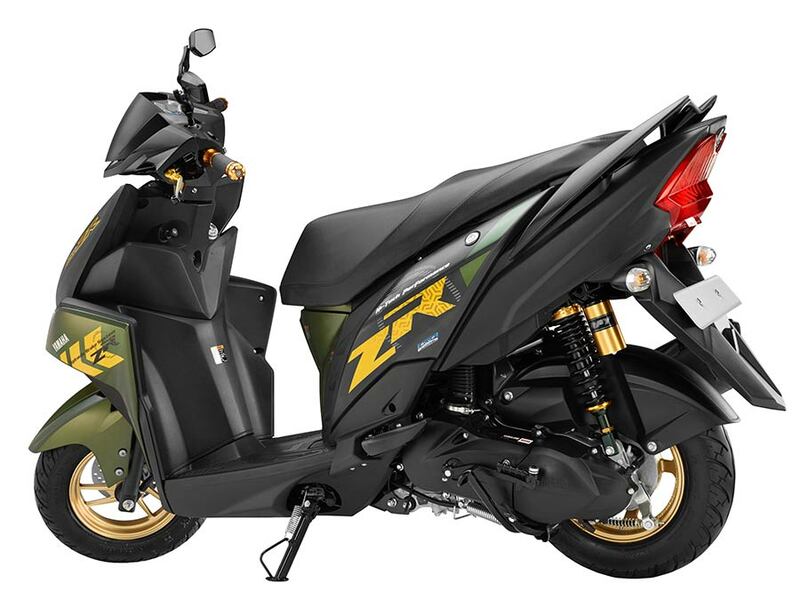 Talking about the specifications of Ray-ZR, the scooter is powered by an air-cooled 4-stroke, SOHC, 2-valve 113cc “BLUE CORE” engine with a continuously variable transmission (CVT) unit. The all new Ray-ZR features a lightweight body (103 kg) with glamorous design and offers user-friendliness. The new Yamaha model comes in two eye-catching colors for its disk brake model to fulfil the needs of trend-conscious young riders. It will also be available in two different colors for its drum brake variant. Out of the total demand of two wheelers in India, the scooter segment is soaring with 30% contribution to the sales and we are looking at 10% market share for this year. With Yamaha’s forte to cater to youngsters with its DNA of style, sportiness and innovation, the new Cygnus Ray-ZR will surely be a treat for real boys, especially among the ones particularly keen on style and technology. Since 2012, Yamaha’s Scooters were enthusiastically accepted in the market. With the launch of the Fascino in 2015, Yamaha further witnessed a steep growth in sales, which only testifies its strong product focus and market strategy. We are excited to launch the new Cygnus Ray-ZR which is all set to rev many hearts among Indian customers. The new Yamaha Ray-ZR (Model name: Cygnus Ray-ZR) which got launched today (21st April 2016). 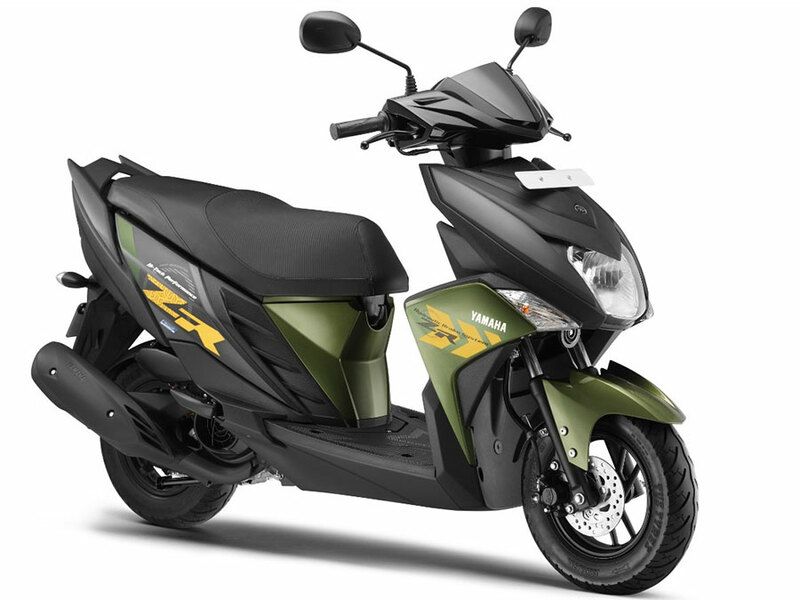 Yamaha Ray ZR is available in 2 different variants: Drum Brake model and Disk Brake model.